The other day I found myself at Trader Joes, no real surprise there…it was Sunday and I had just gotten done meal planning for the week ahead. As I was roaming the aisles, there was a festive looking bin brimming with beautiful autumn produce. Little persimmon fruit, these deep orange jewels, were near the top and being that I had never cooked with a persimmon, I tucked a few away in my cart before checking out. The last time I had persimmon was in a cinnamon roll at one of our favorite local restaurants here in Kansas City. The baker told us that he whipped the pulp in a food processor and mixed it with the cinnamon filling before rolling the pastry dough and baking into rolls. They were divine. Other than that, I really didn’t know what to do with them, so when I got home I gave pinterest a good looking over and landed on a recipe that looked pretty simple. 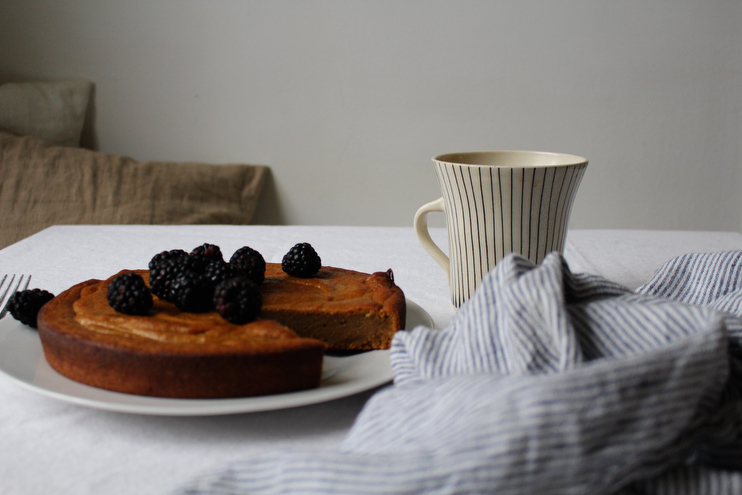 Alas, persimmon cake. Although, I must admit, it is nothing like a cake. It’s more of a “pie”, actually. Or perhaps even a “pudding” as a recipe title would suffice. 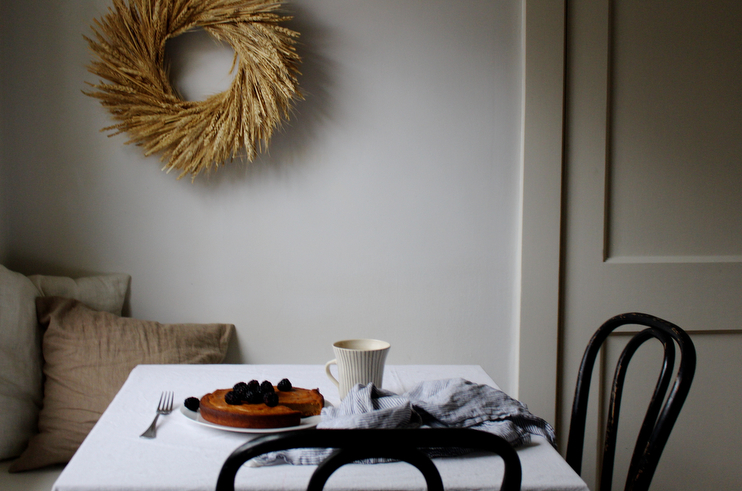 Regardless of what one should or should not call it, it’s the perfect autumn dessert. Enjoy! 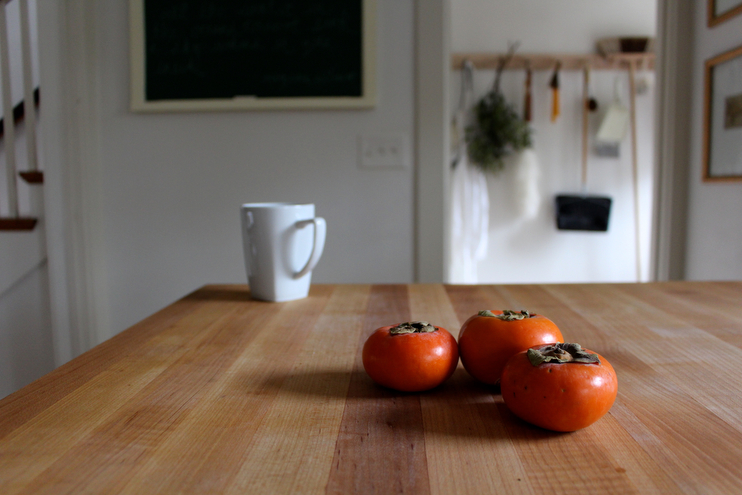 To prepare, combine the sugar with the persimmon pulp. Beat in the eggs, mix in the milk, then butter. Sift the dry ingredients and mix with the persimmon mixture. Pour batter into a well-greased baking pan and bake in a 315 degree oven for about an hour and twenty minutes, or until the cake is set and if you insert a knife it comes out clean. I served this with warmed sugary black berries, but the addition of homemade whipped cream would really be something.